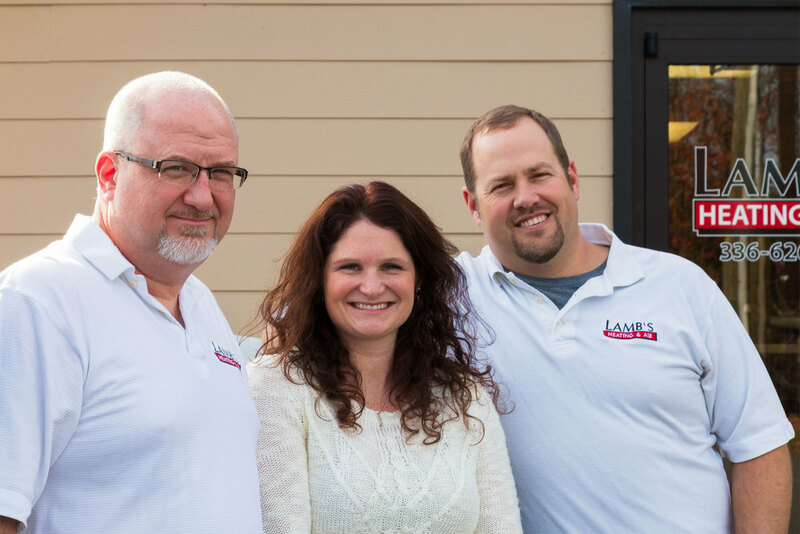 Lamb’s Heating & Air, LLC is a Christian, family-based, locally owned HVAC company founded by Frank Lamb in 1952. Frank operated Lamb’s Heating & Air (formerly known as Lamb’s Heating & A/C Co.) out of High Point NC. Due to family illness, Frank was forced to close the doors at Lamb’s in the 1970’s. Lamb’s Heating & Air came back into business in the mid 1980’s when Frank’s son Jeff Lamb began operating the company. Jeff ran the company along with his son Thomas before eventually “retiring” from the heating and air business in 2000. Thomas Lamb, current owner, and 3rd generation HVAC contractor took over the full time operation and management of Lamb’s Heating & Air January 1, 2000. Lamb’s Heating & Air has moved physical locations a few times since that date. Starting out in a small shed on Lassiter Mill Rd in rural Randolph County, then moving to 128 Oakgrove Rd Asheboro in 2009. In October 2013, we moved to our current location 1031 Sunset Ave. Lamb’s Heating & Air has grown tremendously over the years and we are extremely thankful and blessed! Lamb’s Heating & Air is still operated and managed by family. Lamb’s service manager, Wayne Hill is Thomas’ father-in-law. He began working with the company in 2007. Lamb’s office manager, Kari Lamb is Thomas’ wife and has been working with the company since 2013. Lamb’s has 2 service technicians and 5 install technicians on staff. We are truly grateful for our knowledgeable, hardworking staff!